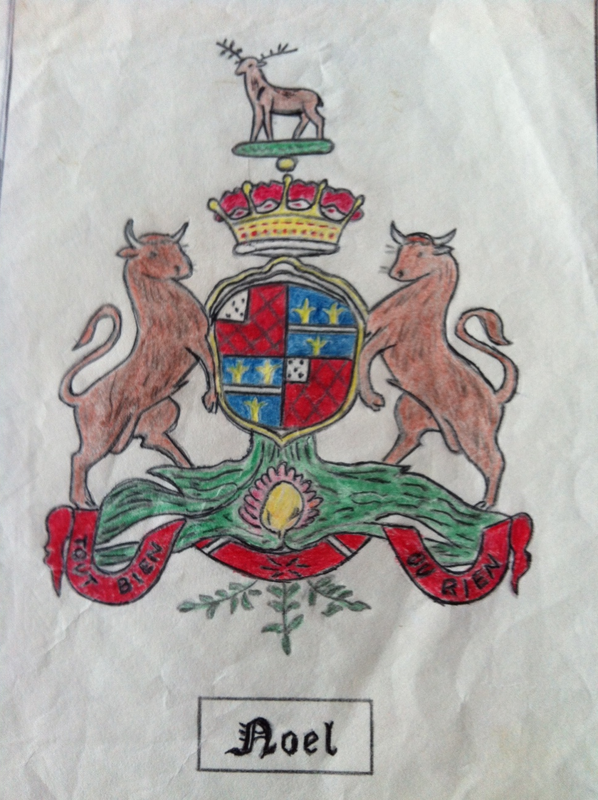 Selby Noel in his research felt that Clemence Noel b ca 1735 (now I believe 1725) came from Jersey. However, his research trip to Jersey failed to turn up a suitable candidate amongst the Clements. It looks like there was an error in one of his assumptions that opens the door for Clement born 1715 as a potential candidate. It is possible that Jerseyman was a generic term for Channel Islander and so Guernsey should probably also be considered. This has now been confirmed by DNA. The Family Finder autosomal project links Harbour Grace and Carbonear. Some DNA testing seems to be pointing to a match of the Bareneed Newells and the HG Noels. Some of the conflicting oral histories are clearing up. …..Many Protestants managed to escape the massacre. Some found refuge in the Huguenot strongholds of Sancerre and La Rochelle. Thousands of others fled the kingdom, bound for Geneva, Basel, Strasburg (Alsace-Lorraine), or London. Alsace Lorraine (district of Bas-Rhin, France) was in the German area called the Palatine from which many refugees fled at various times. It seemed to be an epicenter for religious and national conflicts between Catholic and Protestant/Germany and France. In fact, Jersey hosted two waves of Huguenot immigration from France within a century: the first in 1570-1580s, and the second during the great exodus after the revocation of the edict of Nantes, after 1685. In his book on the history of St. Helier, historian E. C. Nicolle argues that the largest influx of french refugees during this ‘first Huguenot wave’ took place between 1585 and 1588. Most of them regrouped in St. Helier, the main island town, to the point where the Royal Court was forced to legislate to limit the amount of rents and the price of foodstuffs. In 1603, due to the increase of the population permanent city, it became necessary to establish a new market day. The records of St Helier start about 1584. A Jean of Jean & Katherine is baptised in 1597. There are abundant records of Noels in Jersey however. However, a document retained by the Société Jersiaise lists 185 french protestants living in exile in the island at the time it was written. Almost all men and women of the list originated in lower Normandy, and Bocage in particular, as evidenced by their surnames. The protestant community in this region is estimated to have been 1,300 people – this is according to Protestant historians who have studied a list. Almost a third of these families came to settle in Jersey. 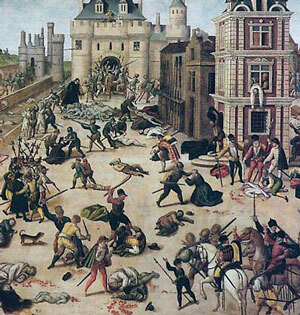 The Edict of Nantes in 1598 gave the Huguenots some protection. Clement’s first documented child is Elizabeth born ca 1850. Nicholas is a common name of the Brixham , Devon lines. In 1794 he appears in the census of Quidi Vidi. The only confirmed family link across to Jersey is Josue Noel (born ca 1770) of Philippe Noel and Rachel Le Cornu. It now seems a possibility as well that there was a Lecornu Jersey Merchant (Matthew Martin document) in Harbour Grace around 1800 as well. (not known if there is a connection). This seems to be a line that ends. 1) Another account had an ancestor, her grandfather “chased out of Jersey to Sheffield, England, and then to NF”. I heavily discounted this account. It does have some possibilities though. Some Nowells of Somerset were Quakers. It seems they were chased out of their locale – some heading to the North. Also looking through the Noels in the Quaker database some seemed to have originated in France possibly coming via Jersey. 2) Moses Noel born 1816 had a grandson Norman who stated that his family fled France to Jersey during the Huguenot persecution. This would mean that the Noels in Harbour Grace were not from a long-established family in Jersey. C. Noel reports oral history that Moses Noel was related to the Carbonear Noels. Another character has left a thin trail in Harbour Grace. John Noel (Newall) was a Bristol Merchant who leased land in Harbour Grace for his agent. He died in 1805/6 leaving an insolvent estate. His estate document describes him as “late of Harbour Grace’. We know he did business from Harbour Grace to Quebec and New Brunswick. Seary has a John Clements in Bay Roberts in 1760 and a William Clemens of Brigus 1709. I am finding DNA connections to the French and Earle families in these areas. William Noel (arrive ca 1826) – seems to have the best oral history and following that oral history would be the logical next step. Hopefully military records would be a first step into gaining further insights. The Decks Awash publication say the Noels were from Devon or Dorset. I would assume they were referring to this line. William was apparently born in Wales though of English heritage. The Brixham Fishing Nowells of Devon had a branch in Tenby, Wales. One line of the Trinity Newells established in Carbonear. The origins of this early line are unknown but likely south England, possibly Hampshire. Brixham, Devon has a Knowling family that lines up nicely. Nicholas Newell said his family was in Newfoundland for 100 years in 1794. This would be true of the Trinity Newells. Thomas Cole found the James Newell line of Trinity possibly has some descendants unaccounted for. Ashford, Babb, Bickford, Bulley, Codner, Cornish, Harvey, Mudge, Pinson, Prowse, Row, Squarey, Stephens, Tapley and Whiteway. Carter, Congdon, Dodd, Evans, Godfrey, Goodridge, Griffin, Henley, Hutchings, Hutton, Lee, Luscombe, Marshall, Martin, Matthews, Morry, Perriman, Phillips, Pope, Rich, Seally, Searle, Soper, Squires, Sparkes, Storey, Tremblett and Way. Anstey, Corban, Durrell, Etheridge, Frampton, Gale, Gould, Harrison, Hooper, Keats, Knight, Linthorne, Newell, Pike, Randell, Taverner, Vallis, White, and Wise.